The Sentry Automatic Electric Gate Lock works with an automatic gate operator to securely lock the gate into position without having to step out of a vehicle. 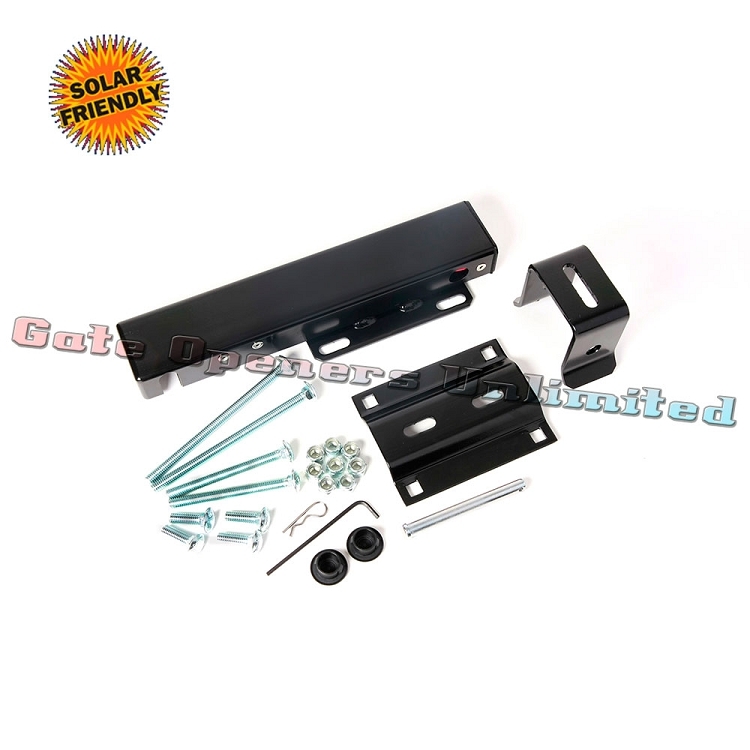 The Sentry Automatic Electric Gate Lock 070510 is wired into the gate operator control box, and when an input device such as a transmitter or keypad is used to open the gate, the Sentry Electric Gate Lock disengages. The gate will then swing open. When closing the gate, the gate retracts and the gate lock automatically engages to secure the gate in the closed position. Operating Voltage: 10 vdc to + 14 vdc. Nominal Activation Current: < 250 milli amps. Construction: Steel Powder Coated Black Housing. Solenoid Pull Force: 5.85 lbs / 26 n.
Locking Mechanism: Spring Loaded Self-Latching. Supply Voltage Wire Size: Recommended 18 gauge / .8 mm2. Emergency Release Type: Removable Strike Pin. Periodic Service Recommendation: Lightly Grease Strike Pin. Temperature Range: -30 C to +85 C.
Minimum Recommended Wire Gauge: 18 gauge / .8 mm2.